In this episode of Good Things Radio: Unending trips to the dentist, spiritual renewal for the family, Colonial Williamsburg and the early roots of America, and Pope Francis’ arrival to America and much much more! This entry was posted in Podcast and tagged America, Colonial Williamsburg, confession, dentists, family, homeschool, John Adams, Pope Francis, spirituality, World Meeting of Families on September 23, 2015 by brooketaylor. 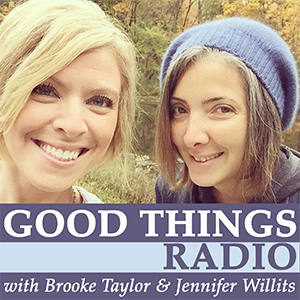 In this episode of Good Things Radio, Brooke and Jennifer talk about teens and their fast food hang-ups, back to school readiness, landing time explained, the sacrifice of being a stay at home parent and how to respond to the video scandal of Planned Parenthood and tons more. This entry was posted in Podcast and tagged Back To School, dinner, Family Time, Fast Food, Planned Parenthood, Stay At Home Parent, Teenagers on September 1, 2015 by brooketaylor.